Digger’s Bones kept me on my toes throughout and Paul Mansfield Keefe keeps your attention the entire way through. Just when you think things have reached their worst, there’s more! Just when you think Angie is safe, something else happens. The plot thickens, twists and turns get exciting and then, the book gets REALLY good! I absolutely LOVED this book. Keefe reminds me of Dan Brown, of whom I am a big fan. Yet (the book) is very different at the same time. Digger’s Bones is a mystery thriller for the ages. I would love to see it on the big screen and I want to read more books with ‘Angie Cooper’. 5 spiders from me for Paul Mansfield Keefe. If I could give more, I would. Digger’s Bones was simply FANTASTIC. WOW! 5 Stars! I could not put (Digger’s Bones) down. It was a nice change to actually (read) a smart book, one you have to think about but leaves you on the edge of your seat. A worthy 5 stars! A very impressive debut novel. Digger’s Bones is a thriller with substance. Fans of Dan Brown’s books will find more religious controversy to whet their appetites within these pages. A Wild Adventure, 5 Stars. Digger’s Bones is a fast-paced adventure. The biblical and historical facts interspersed throughout are well-researched and give a realistic feel to the story. This book has a fascinating premise and would be perfect for a reading/discussion group. Fascinating! 5 Stars! Great Mystery, I loved the complexity, and archaeology. (Keefe) has certainly done some fabulous research and became the architect of a fascinating story! A Great Read, 5 Stars! For me, a good book must grab my attention early and maintain that level throughout. Digger’s Bones by Paul Mansfield Keefe does just that. I highly recommend Digger’s Bones to anyone who enjoys an intelligent high action thriller that is a real page-turner. A Great Story! 5 Stars! Digger’s Bones pulled me in from the start and really grabbed me towards the end. Everything you hope a good book will do. Paul Mansfield Keefe has a great story here and I predict he will be very successful. If you loved The Da Vinci Code you will want to read this amazing first novel by author Paul Keefe. Main character Angie Cooper, archeologist/detective extraordinaire, is one tough, stubborn and independent woman in this highly suspenseful action adventure story. Keefe has also centered the story around a plausible archeological find that could change world history and religious beliefs. Keefe has included every story element one could wish for with suspense, intrigue, detective work, romance, surprising plot twists, scientific and religious historical background and well-developed characters. This is certainly a worthy debut for this new author and I hope we will see much more of Angie Cooper in upcoming novels. The book is fast paced and full of action. I feel the book was well written and very enjoyable. There are many plot twists that keep the reader guessing till the very end. There is a kind of an “Indiana Jones” and “Da Vinci Code” feeling to the book. Digger’s Bones is a thrilling adventure and great read. 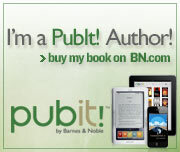 The book was well researched and almost felt as if it were a true story. The likeable characters combined with an awesome plot make Digger’s Bones one of my favorite reads of the year. I really loved Angie, she’s trustworthy and dependable. The supporting characters were awesome and complimented the main character. The ending was not a disappointment and the epilogue added the cherry on top. Paul Mansfield Keefe has written a thrilling book that takes you on a ride worthy of the big screen. Angie is a very likable and interesting character, and you find yourself rooting for her. There are several unexpected twists and turns, and you’re barely given time to catch your breath before Angie is off and running again. I wanted to keep reading to discover what happened next. (…) the last few pages of the book are satisfying to the reader who has (read) the story the whole way through. In Digger’s Bones, Paul Mansfield Keefe has brought to life a possibility of epic proportions. Keefe has written a story that is well researched, and just unbelievable enough to be believable. Digger’s Bones is a roller coaster of emotion; this story is full of surprises, and the ending is no different. I would recommend this book to anyone who loves a great adventure, (a) book club or reading group would find a great deal of different and interesting, and possibly controversial (reading). 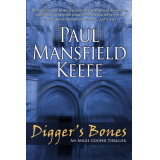 Paul Mansfield Keefe’s Digger’s Bones is professionally written and fast-paced, evoking the thrills and conspiracy theories of Dan Brown. Keefe does a good job spacing out the clues to the mystery of Digger’s bones, keeping the reader guessing as to where the next clue will lead Angie. (Keefe) also throws in several plot twists that turn the story in a completely different direction…the stakes exponentially rise with each new revelation. With a lot of suspense, action and an intelligent plot, Keefe’s work is promising—and will probably bother some religious people. We get to see a lot of Jerusalem, DC and the Zugspitze in Germany throughout the story. If you like suspense novels with some history in them, this book is for you. It has a lot of details—result of an extensive research, I assume—that make the story believable, gripping. Just like Angie’s bad case of vertigo, you will find the horizon spinning as the clues lead you from one conclusion to another, and to one part of the globe to another. The author, Paul Mansfield Keefe, knows how to twist a story and how to keep subplots bubbling. 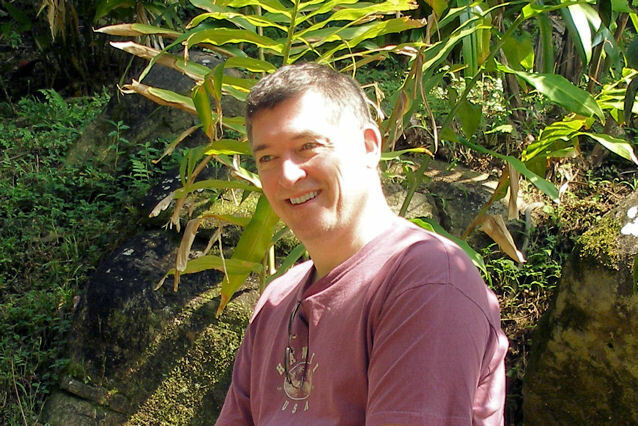 He writes with authority on sites in Jerusalem and makes them come alive through his pen. If you like to try and figure out whodunit before the book ends, this one’s definitely for you!